The story is recorded in George Engelman’s account of labour and birth. It is a good example of a woman who is so completely in tune with nature that giving birth is a spiritual devotion aligned with nature and God. This unname woman lived in a community and participated in regular rituals to honour the Divine, or Wakantaka/God. One of the strong emotions felt was gratitude for the resources given by the Great Spirit Who infuses all of life on earth with energy and purpose. Cultivate your relationship with God both before, during and after your pregnancy. This unnamed woman was extremely fit and healthy. She helped to pack up the camp without complaining – no-one even knew she was in labour. In other words, she was physically fit. Her diet consisted of organic vegetables and fruits with some meat at regular intervals. She slept when the sun went down, awoke with its rising and went about her normal daily tasks during the pregnancy. 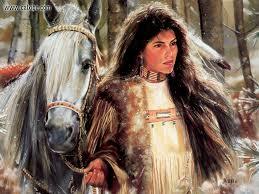 She was fit as a result of the natural exercise of walking long distances, dancing, riding. The food she ate was unlike the industrially farmed food we consume today. Her baby grew to the appropriate size for her body. The clean air, fresh water and active lifestyle all played a role in her peak state of health. In some communities, loss of mother and or baby during pregnancy or birth was completely unknown. Take care of your health before during and after your pregnancy. When this unnamed woman was hurt, the wise older women would notice and perhaps remark or gather around and make a time to listen. They would observe her state of disharmony with herself or others. They would hold a space for her to tell her story, to rage, to weep, to be heard and seen. Acceptance and honouring would have been given to soothe the pain endured. Healing would take place over time and at its own pace. Find a person who listens and a place to be healed of your hurts before, during and after pregnancy. It is not possible to live in community without loving relationships. This means being honest and real with each other. Speaking our truth and facing the conflict it may create between people. Gradually it is necessary to come into a gentle way of being that confronts and resolves tension without violence and hurt. We are all here on earth with a unique purpose and this must be honoured by each member in a family and or community for the common purpose to be fulfilled. Harmony can be created by paying attention to the disharmony in oneself and embracing the differences between us and the other. The unnamed woman gives birth iut of necessity then rejoined her group and was received with surprise and acclamation at her bravery. Take responsibility for your life and actions so that others can be drawn closer to you in relationship. The unnamed woman was in tune with her baby. She knew when to nourish herself so that baby would become active in the womb. She knew when her baby was asleep. She observed baby’s movements and felt how baby would respond to her husband or her mother’s voice from in the womb. She rested when she was tired, ate herbs to heal her ailments. She was so in tune that she responded to her baby’s needs to come forth despite the inconvenient timing! She put her newborn in warm wrappings next to her breast to continue her journey safely. Her baby remained attached to her body and when she reached the tribe ahead, they stopped to gather around and admire her prize and praise her fortitude. When her baby gave her cues that he was hungry, she put her baby onto her breast. When he needed to pee or poo she lifted him over the earth and he evacuated without soiling garments. She gazed into his eyes and told him stories about his birth and how unique and precious he was. He recognized her gaze and soon responded. This is attunement. Learn to recognise your unborn baby’s patterns and movements. These are the ways an unborn baby can communicate with you. Sing, laugh, pray and touch your unborn baby. Dance and walk and swim if you can. You are his interface with the outside world. You and your baby are infused with God and Life Spirit. Spiritual devotion both to God and your task will strengthen your soul and infuse your birth with good feelings and good memories. Beautiful. such a lost spiritual way.